The Forum for Christian Women Empowerment and Development, FOCWED, in partnership with NEPAD, and Cameroon’s ministry for Women’s Empowerment and the Family, have impacted over 60 women and youths in the Southwest region of Cameroon, on the adverse effects of climate change as well as the need for climate-smart agricultural practices, aimed at fighting climate change and ensuring food security. In a two day training hosted by the Cameroon Cultural Centre in Buea, on December 27 and 28, participants were drilled on the issue of climate change, its causes, its effects, impacts, local adaptation mechanisms, use of organic fertilizers, as well as methods and practices that ensures climate-smart agricultural practices. 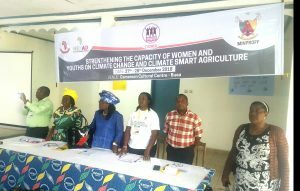 In her welcome speech, Mrs Eteki Stella Dopgima, Project Coordinator for FOCWED noted that the workshop and training is designed to fill the knowledge and skill gap in the field of agriculture and climate change. 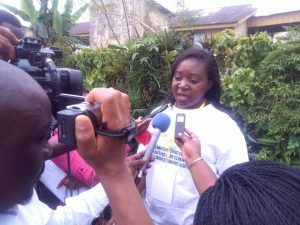 She regretted that Cameroon’s agricultural output has dwindled over time due to climate, and that as such, FOCWED alongside its partners is working to impact over 60 women and youths on climate change and climate-smart agriculture in the Southwest, so as to ensure food security and a habitable environment and climate. Talking to the press, Mrs Eteki Stella revealed that as part of their activities to support the women folk and empower them, they were “going to transform ten women cooperatives to full-fledged cooperatives and in addition to that, we are going to put a drying machine and a packaging machine at the FOCWED office. It is the first in the Southwest region. This will help women as far as transformation, preservation and commercialisation of farm products is concerned. Talking on climate-smart agriculture, she said it “is an effective way of carrying out agriculture. A lot of women do agriculture, but they follow the rudimentary method. We want to improve, we want to take agriculture to another new level. We don’t want the practice of burning farms. We want to educate women on how to make their own organic fertilizers. On her part, the Southwest regional delegate for Women Empowerment and the Family, Mrs Moffah Juditha applauded FOCWED for impacting lives in the community through women since 2006. She regretted that women lack skills and expertise to deal with the adverse effects of climate change. She noted that with the present climate situation, it is difficult to draw a line between the rainy and the dry season, and as such farmers do not know when to plant their crops. Dr Mrs Niger-Thomas Margaret, the representative of the minister for Women Empowerment and the Family, noted with dismay that farming has become more expensive due to the alternating climate situation, as people do not know when to plant their crops, and as such, most people plant more than once in a season, especially when the rains come and then go, making sprouting crops to dry off. She also noted the reoccurrence of floods, insisting that more practical solutions are needed to tackle the global problem. Mrs Beltha Ngowo Motomba a vegetable farmer from Lysoka village, noted that they are currently facing problems which are relatively new to them. “The problem that we face is our soil. When we plant our vegetables, at times it withers before time. When we plant our maize, it doesn’t get the usual height. It gets flowered and doesn’t do well. “Sometimes we have to water the crops because the rains abruptly stop. Climate change is affecting us in Lysoka. Formerly, we just use to plant and only return to harvest, but today we struggle because the whole place is dry. The knowledge acquired here will be spread to our relatives in the village so that the situation can be improved. 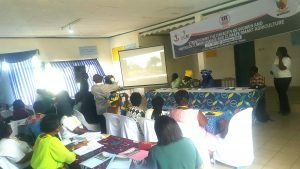 Participants at the workshop were mentored by expects selected from concerned ministries, the University of Buea, the community, climate concerned organisations and others, all engaged in the fight for a safer and habitable climate, as well as food security and the empowerment of women and youths. I’d add additional lessons that fit this. Want to hear them? F*ckin’ awesome things here. I am very glad to see your post. Thank you a lot and i’m looking forward to touch you. Will you please drop me a mail? I have to point out my affection for your kindness in support of individuals who should have assistance with this one study. Your personal dedication to getting the solution along became especially valuable and have always enabled guys like me to achieve their aims. This invaluable advice means a lot to me and somewhat more to my office workers. With thanks; from everyone of us. Needed to write you one little remark to finally thank you very much again relating to the splendid views you’ve shown on this page. It’s certainly seriously generous with people like you giving extensively what some people could have made available for an e book to make some cash for their own end, principally seeing that you could possibly have done it if you ever wanted. Those inspiring ideas additionally served to become a easy way to be aware that the rest have similar eagerness similar to my personal own to grasp a lot more with regards to this problem. I am sure there are some more fun occasions ahead for folks who go through your blog. I wish to express appreciation to this writer for bailing me out of this type of dilemma. As a result of browsing through the the net and coming across techniques that were not productive, I assumed my entire life was done. Living without the presence of solutions to the difficulties you have fixed as a result of your good post is a critical case, as well as the ones which might have badly damaged my entire career if I hadn’t discovered the blog. Your own understanding and kindness in maneuvering every part was vital. I don’t know what I would have done if I hadn’t come across such a solution like this. It’s possible to now look forward to my future. Thanks for your time very much for this expert and result oriented help. I will not hesitate to suggest your web site to anyone who requires assistance on this matter. I and also my friends were found to be reading through the best key points on your web site and so unexpectedly developed a terrible feeling I had not thanked you for them. These guys came as a result thrilled to see them and have now quite simply been making the most of them. Many thanks for turning out to be simply helpful and then for pick out this kind of incredible guides millions of individuals are really desirous to be informed on. My honest regret for not expressing gratitude to you earlier. I’m commenting to let you know of the exceptional experience my cousin’s girl experienced reading through your site. She figured out plenty of issues, with the inclusion of what it is like to possess an awesome coaching style to make the rest quite simply fully grasp several hard to do matters. You undoubtedly did more than readers’ expectations. Thanks for churning out the effective, dependable, revealing and even fun tips on your topic to Ethel. I want to point out my love for your generosity giving support to persons who should have guidance on this particular situation. Your special dedication to getting the solution around had been particularly functional and has continually encouraged many people much like me to reach their dreams. Your personal insightful report signifies a whole lot to me and especially to my colleagues. Many thanks; from each one of us. I’m writing to make you know of the fine encounter my friend’s daughter gained browsing your web site. She came to understand many issues, most notably how it is like to have a great coaching style to have other individuals just fully understand a number of extremely tough issues. You really exceeded readers’ desires. I appreciate you for rendering the warm and friendly, safe, revealing as well as unique tips about that topic to Kate. I truly wanted to post a brief note to express gratitude to you for these nice tricks you are showing at this site. My considerable internet look up has at the end of the day been rewarded with useful points to write about with my family members. I ‘d suppose that many of us site visitors are really fortunate to be in a superb community with very many awesome individuals with valuable things. I feel somewhat fortunate to have used the web pages and look forward to many more amazing minutes reading here. Thanks once again for all the details. I’m just writing to let you be aware of what a superb experience my cousin’s girl developed browsing your web site. She picked up numerous things, most notably how it is like to have an amazing coaching heart to get certain people really easily fully grasp a number of grueling topics. You actually did more than visitors’ expected results. I appreciate you for rendering such great, trusted, informative and in addition unique guidance on this topic to Mary. I want to express appreciation to this writer for rescuing me from this particular incident. Just after checking through the the web and getting strategies which were not beneficial, I was thinking my entire life was well over. Existing without the presence of solutions to the issues you have solved by means of this posting is a crucial case, and ones which may have in a wrong way affected my entire career if I had not noticed your blog. Your personal training and kindness in handling all the things was vital. I am not sure what I would’ve done if I hadn’t discovered such a thing like this. I’m able to at this moment relish my future. Thanks a lot very much for your specialized and effective guide. I won’t hesitate to propose your web site to anybody who wants and needs direction about this situation. My husband and i have been absolutely cheerful Edward could round up his studies via the precious recommendations he made from your web page. It’s not at all simplistic just to choose to be handing out helpful hints which usually the others may have been selling. We already know we’ve got you to be grateful to for this. All of the illustrations you have made, the easy web site menu, the relationships you give support to engender – it’s most superb, and it’s really leading our son and the family know that this issue is amusing, and that is highly important. Thank you for the whole lot! I wanted to put you that bit of note to be able to thank you over again with your pleasing pointers you’ve featured above. It is so seriously generous with people like you to make unhampered what exactly numerous people could possibly have distributed as an ebook to help with making some money for themselves, most importantly seeing that you could have done it if you considered necessary. These guidelines likewise worked like the fantastic way to be sure that other people online have a similar fervor just like my personal own to know the truth a good deal more with respect to this problem. I’m sure there are some more pleasurable times up front for folks who read through your blog post. Thank you a lot for giving everyone a very breathtaking possiblity to discover important secrets from this site. It really is very enjoyable plus full of fun for me and my office colleagues to search your website at least 3 times a week to find out the newest guides you will have. And lastly, I am also usually happy with all the breathtaking tips and hints you serve. Some 2 tips in this post are certainly the finest we’ve ever had. I not to mention my pals appeared to be checking out the great tips and tricks found on your website and so at once I got a horrible feeling I had not expressed respect to the web blog owner for those secrets. Most of the young men ended up as a consequence joyful to study them and have simply been enjoying these things. Thank you for genuinely indeed thoughtful as well as for settling on this kind of magnificent ideas millions of individuals are really desirous to learn about. Our honest regret for not expressing gratitude to earlier. I simply needed to thank you so much once again. I’m not certain the things I could possibly have undertaken in the absence of the tricks provided by you about that problem. Certainly was the distressing scenario for me, nevertheless discovering the very specialised technique you handled it forced me to jump over contentment. I’m just happier for the service as well as expect you comprehend what a great job your are providing instructing some other people through the use of your web blog. I know that you’ve never met any of us. Thank you a lot for providing individuals with an extremely splendid opportunity to discover important secrets from this site. It’s always so terrific and also jam-packed with a lot of fun for me personally and my office acquaintances to search the blog at a minimum three times a week to read the latest stuff you have. Not to mention, I am also actually amazed for the terrific knowledge you give. Certain 3 facts in this posting are surely the simplest we’ve had. I would like to show some appreciation to the writer just for rescuing me from such a matter. Just after surfing through the world-wide-web and coming across notions that were not helpful, I believed my entire life was well over. Living without the approaches to the issues you’ve fixed through this site is a critical case, as well as ones that would have adversely affected my career if I had not noticed your web blog. That training and kindness in taking care of all areas was vital. I don’t know what I would have done if I hadn’t come upon such a point like this. I can also now relish my future. Thanks for your time very much for the specialized and effective guide. I won’t hesitate to propose your web page to any person who should receive care on this matter. I together with my pals were actually reading through the good techniques found on your web page then unexpectedly developed a terrible suspicion I never expressed respect to the blog owner for those techniques. All of the boys appeared to be consequently warmed to learn all of them and have in effect honestly been tapping into those things. I appreciate you for being simply accommodating as well as for picking out certain important subject matter millions of individuals are really desperate to be aware of. Our own sincere regret for not expressing appreciation to you earlier. I precisely needed to thank you so much once again. I’m not certain what I might have worked on in the absence of the concepts contributed by you directly on such industry. It was before a frustrating dilemma in my view, but encountering the very professional fashion you processed the issue made me to cry with fulfillment. I will be happy for your service and even pray you recognize what a great job you have been putting in training many others via a blog. Probably you haven’t encountered any of us. My wife and i felt so comfortable when Peter could conclude his studies from your ideas he was given when using the web pages. It’s not at all simplistic just to possibly be giving for free tips and hints which often the others might have been making money from. We do know we’ve got the website owner to appreciate because of that. Most of the explanations you have made, the simple blog navigation, the friendships your site make it easier to promote – it’s many amazing, and it is letting our son and the family feel that the situation is pleasurable, which is extremely essential. Thank you for the whole thing! I am also writing to let you know what a fabulous encounter my friend’s daughter experienced reading your blog. She came to find some things, which include what it is like to have an amazing teaching mindset to have other individuals easily gain knowledge of a number of specialized issues. You truly exceeded visitors’ desires. I appreciate you for providing the informative, healthy, informative and also fun thoughts on that topic to Tanya. I would like to voice my admiration for your kind-heartedness for those people who must have help with the situation. Your personal commitment to getting the solution all-around had been exceedingly useful and have always enabled workers much like me to reach their desired goals. Your own interesting recommendations can mean a great deal to me and even further to my office workers. Best wishes; from all of us. I am only commenting to let you be aware of what a remarkable encounter my princess developed going through your web page. She realized plenty of issues, with the inclusion of what it is like to have an incredible coaching spirit to have others very easily comprehend various specialized issues. You really did more than readers’ expected results. Thank you for showing those insightful, trusted, revealing not to mention unique tips about that topic to Mary. I and also my buddies happened to be studying the great thoughts located on your website and then all of the sudden developed a horrible suspicion I had not thanked the website owner for those strategies. The ladies were consequently passionate to learn all of them and now have extremely been using those things. Appreciation for being quite kind and also for using such fantastic subjects millions of individuals are really wanting to be informed on. My very own honest apologies for not expressing gratitude to sooner. I definitely wanted to write a simple message to be able to appreciate you for all of the wonderful hints you are placing on this site. My considerable internet investigation has at the end been rewarded with incredibly good information to go over with my visitors. I ‘d admit that we readers are undeniably fortunate to exist in a magnificent site with so many marvellous individuals with beneficial basics. I feel very much fortunate to have encountered your web pages and look forward to tons of more amazing times reading here. Thanks a lot again for everything. Thank you so much for providing individuals with a very marvellous chance to read articles and blog posts from here. It is often very cool and as well , packed with fun for me and my office co-workers to search your website nearly thrice in one week to find out the fresh issues you have got. Not to mention, I am also certainly pleased considering the exceptional creative concepts served by you. Some 4 points in this article are unquestionably the most beneficial I’ve ever had. I happen to be commenting to make you know of the brilliant experience my princess found browsing your web page. She picked up lots of things, not to mention how it is like to possess an incredible teaching mindset to get many people smoothly gain knowledge of specified extremely tough subject areas. You truly exceeded our own expectations. Thanks for displaying such beneficial, trusted, explanatory as well as fun thoughts on your topic to Evelyn. I simply want to tell you that I am just newbie to blogging and seriously savored you’re blog site. Very likely I’m want to bookmark your site . You really come with excellent well written articles. Many thanks for sharing with us your website. I enjoy you because of each of your efforts on this web page. Ellie enjoys participating in internet research and it’s really obvious why. I notice all regarding the compelling way you make worthwhile tricks via this web site and even recommend contribution from other people on this article and our favorite princess is without a doubt learning a whole lot. Have fun with the rest of the new year. Your conducting a superb job. I wish to show thanks to this writer for bailing me out of such a condition. Just after browsing through the the net and getting suggestions which are not powerful, I assumed my life was done. Living devoid of the approaches to the problems you have sorted out all through your posting is a serious case, as well as the kind that might have negatively affected my entire career if I had not noticed your website. Your own understanding and kindness in taking care of the whole thing was vital. I am not sure what I would have done if I hadn’t discovered such a thing like this. I can also at this point relish my future. Thanks so much for this high quality and effective guide. I won’t hesitate to propose your site to anybody who should have counselling on this problem. I in addition to my pals came reading the great suggestions located on your web blog and so quickly got a terrible feeling I never thanked you for them. Most of the people came as a consequence happy to learn them and have without a doubt been taking pleasure in those things. Thanks for actually being well kind as well as for having such quality tips most people are really needing to discover. Our sincere apologies for not saying thanks to earlier. I really wanted to make a simple remark to thank you for all the stunning instructions you are sharing on this site. My extensive internet lookup has at the end of the day been compensated with high-quality content to talk about with my contacts. I would assume that many of us readers actually are undoubtedly blessed to be in a wonderful network with very many brilliant people with great guidelines. I feel pretty blessed to have discovered the web pages and look forward to tons of more pleasurable times reading here. Thanks once again for everything. Somebody essentially assist to make critically posts I might state. This is the first time I frequented your web page and to this point? I amazed with the analysis you made to make this actual publish incredible. Fantastic job! hello there and thank you for your info – I’ve certainly picked up anything new from right here. I did however expertise some technical points using this site, as I experienced to reload the web site a lot of times previous to I could get it to load correctly. I had been wondering if your web hosting is OK? Not that I’m complaining, but slow loading instances times will very frequently affect your placement in google and could damage your high quality score if advertising and marketing with Adwords. Anyway I am adding this RSS to my email and could look out for a lot more of your respective fascinating content. Ensure that you update this again very soon..
Hiya, I’m really glad I’ve found this info. Today bloggers publish just about gossips and internet and this is actually irritating. A good blog with interesting content, this is what I need. Thank you for keeping this website, I will be visiting it. Do you do newsletters? Cant find it. of course like your website but you need to test the spelling on quite a few of your posts. A number of them are rife with spelling issues and I to find it very bothersome to tell the truth then again I¡¦ll surely come again again. hello there and thank you for your info – I’ve definitely picked up anything new from right here. I did however expertise several technical issues using this site, as I experienced to reload the website many times previous to I could get it to load properly. I had been wondering if your web hosting is OK? Not that I am complaining, but slow loading instances times will often affect your placement in google and can damage your high quality score if ads and marketing with Adwords. Anyway I am adding this RSS to my e-mail and could look out for a lot more of your respective intriguing content. Ensure that you update this again very soon.. Very well written article. It will be useful to anybody who usess it, as well as me. Keep doing what you are doing – i will definitely read more posts. I¡¦ve been exploring for a little bit for any high-quality articles or blog posts in this sort of area . Exploring in Yahoo I ultimately stumbled upon this site. Reading this information So i am satisfied to show that I’ve a very good uncanny feeling I found out just what I needed. I most indisputably will make certain to do not forget this web site and give it a look regularly. Wonderful website. Plenty of useful information here. I¡¦m sending it to a few friends ans additionally sharing in delicious. And of course, thank you for your sweat! I want to express some appreciation to you just for bailing me out of this type of incident. Right after surfing around through the world wide web and seeing strategies which are not productive, I believed my entire life was done. Existing without the presence of solutions to the issues you’ve resolved by way of your entire blog post is a serious case, and ones that could have in a negative way affected my career if I hadn’t discovered the website. That training and kindness in handling all the details was very useful. I’m not sure what I would have done if I hadn’t encountered such a subject like this. I’m able to at this moment relish my future. Thank you very much for your reliable and result oriented guide. I won’t be reluctant to refer your web blog to anybody who should receive assistance on this area. I would like to thank you for the efforts you’ve put in writing this website. I am hoping the same high-grade blog post from you in the upcoming as well. In fact your creative writing skills has encouraged me to get my own site now. Actually the blogging is spreading its wings fast. Your write up is a great example of it. It¡¦s in point of fact a great and helpful piece of information. I¡¦m happy that you shared this helpful information with us. Please stay us up to date like this. Thanks for sharing. I just want to tell you that I am just all new to blogs and absolutely loved your page. Most likely I’m want to bookmark your blog post . You certainly have good stories. Thank you for revealing your website. I’m also writing to let you be aware of of the beneficial discovery my wife’s daughter encountered viewing your blog. She came to understand a good number of issues, including how it is like to have a wonderful coaching mood to have the others clearly thoroughly grasp several tricky issues. You undoubtedly did more than our expected results. Many thanks for churning out these necessary, dependable, explanatory and even fun tips about the topic to Emily. Fantastic goods from you, man. I have understand your stuff previous to and you’re just too wonderful. I really like what you’ve acquired here, certainly like what you are stating and the way in which you say it. You make it enjoyable and you still care for to keep it smart. I cant wait to read much more from you. This is actually a terrific site. I have been exploring for a little for any high quality articles or weblog posts in this sort of house . Exploring in Yahoo I ultimately stumbled upon this website. Reading this information So i am glad to express that I have an incredibly excellent uncanny feeling I found out just what I needed. I most certainly will make certain to do not omit this site and provides it a glance regularly. Wonderful web site. Plenty of useful information here. I¡¦m sending it to some pals ans additionally sharing in delicious. And of course, thanks to your sweat! Thank you, I have just been searching for info about this topic for a while and yours is the greatest I have came upon so far. However, what concerning the conclusion? Are you certain in regards to the source? I wanted to jot down a brief comment in order to express gratitude to you for the lovely ideas you are showing here. My prolonged internet investigation has now been rewarded with pleasant facts and strategies to talk about with my great friends. I ‘d state that that many of us site visitors actually are definitely endowed to be in a fabulous place with many outstanding individuals with helpful methods. I feel really blessed to have discovered your webpages and look forward to plenty of more fun moments reading here. Thanks again for a lot of things. whoah this blog is great i really like studying your articles. Stay up the great work! You already know, a lot of persons are searching around for this information, you could aid them greatly. I am not sure the place you’re getting your info, however great topic. I needs to spend some time learning much more or figuring out more. Thanks for wonderful info I used to be on the lookout for this info for my mission. Useful info. Fortunate me I found your website by accident, and I am shocked why this twist of fate did not happened earlier! I bookmarked it. I¡¦m no longer certain the place you are getting your information, however good topic. I must spend a while finding out much more or working out more. Thanks for fantastic info I was in search of this info for my mission. hello there and thank you for your information – I have certainly picked up anything new from right here. I did however expertise a few technical issues using this site, as I experienced to reload the website many times previous to I could get it to load properly. I had been wondering if your hosting is OK? Not that I’m complaining, but sluggish loading instances times will often affect your placement in google and can damage your quality score if ads and marketing with Adwords. Well I’m adding this RSS to my e-mail and can look out for much more of your respective exciting content. Ensure that you update this again very soon..
Great post. I was checking constantly this blog and I’m impressed! Extremely useful info particularly the last part 🙂 I care for such info a lot. I was seeking this certain info for a long time. Thank you and best of luck. I have been exploring for a little for any high-quality articles or weblog posts in this sort of area . Exploring in Yahoo I ultimately stumbled upon this site. Reading this info So i¡¦m glad to exhibit that I have a very good uncanny feeling I discovered just what I needed. I such a lot certainly will make sure to don¡¦t overlook this website and provides it a look regularly. Hey there. I found your website via Google while looking for a related topic, your web site came up. It seems to be good. I’ve bookmarked it in my google bookmarks to come back then. Thank you for any other informative web site. The place else may just I get that kind of information written in such an ideal approach? I’ve a project that I am simply now running on, and I have been at the glance out for such information. Hi there. I found your site by means of Google whilst searching for a related matter, your website came up. It seems great. I have bookmarked it in my google bookmarks to come back then. Hi there. I discovered your blog by the use of Google at the same time as looking for a related matter, your site came up. It looks great. I’ve bookmarked it in my google bookmarks to visit then. Hi there. I found your web site by way of Google even as looking for a similar topic, your site came up. It appears to be good. I have bookmarked it in my google bookmarks to visit then. Thank you, I’ve recently been searching for info about this subject for ages and yours is the greatest I have discovered so far. However, what in regards to the bottom line? Are you sure in regards to the supply? It’s perfect time to make some plans for the future and it’s time to be happy. I’ve read this post and if I could I wish to suggest you some interesting things or advice. Maybe you can write next articles referring to this article. I desire to read even more things about it! Hi there. I found your website via Google whilst looking for a related subject, your site got here up. It appears great. I’ve bookmarked it in my google bookmarks to come back then. Hiya, I’m really glad I have found this info. Nowadays bloggers publish only about gossip and net stuff and this is actually irritating. A good site with interesting content, that is what I need. Thank you for making this web-site, and I will be visiting again. Do you do newsletters by email? Hello there. I found your web site via Google at the same time as searching for a related matter, your website came up. It appears good. I’ve bookmarked it in my google bookmarks to come back then. I¡¦ve been exploring for a little bit for any high quality articles or blog posts in this kind of house . Exploring in Yahoo I eventually stumbled upon this website. Studying this info So i am happy to express that I have an incredibly good uncanny feeling I found out exactly what I needed. I such a lot without a doubt will make sure to do not put out of your mind this website and give it a glance regularly. Hiya, I’m really glad I have found this information. Today bloggers publish just about gossip and web stuff and this is really annoying. A good site with exciting content, this is what I need. Thank you for making this site, and I’ll be visiting again. Do you do newsletters by email? Thanks for some other magnificent article. The place else may just anybody get that kind of info in such an ideal way of writing? I’ve a presentation next week, and I’m on the search for such information. I will right away seize your rss feed as I can not find your e-mail subscription link or newsletter service. Do you’ve any? Please let me recognize so that I could subscribe. Thanks. Hi there. I discovered your web site by means of Google at the same time as looking for a comparable matter, your site came up. It seems good. I have bookmarked it in my google bookmarks to visit then. Hey there. I found your blog via Google while looking for a related subject, your website got here up. It seems great. I’ve bookmarked it in my google bookmarks to visit then. Hiya, I am really glad I’ve found this information. Nowadays bloggers publish only about gossip and net stuff and this is actually frustrating. A good site with interesting content, that is what I need. Thanks for making this site, and I’ll be visiting again. Do you do newsletters by email? Hello there. I discovered your site via Google at the same time as searching for a related matter, your site got here up. It seems to be great. I’ve bookmarked it in my google bookmarks to come back then. Hiya, I’m really glad I have found this information. Today bloggers publish just about gossip and internet stuff and this is actually annoying. A good site with exciting content, this is what I need. Thank you for making this web site, and I’ll be visiting again. Do you do newsletters by email? Hey there. I discovered your website by the use of Google even as looking for a related topic, your website came up. It looks great. I’ve bookmarked it in my google bookmarks to come back then. It is perfect time to make some plans for the future and it is time to be happy. I’ve read this post and if I could I want to suggest you few interesting things or suggestions. Perhaps you could write next articles referring to this article. I desire to read more things about it! Great awesome issues here. I¡¦m very happy to look your post. Thanks so much and i’m taking a look ahead to touch you. Will you please drop me a e-mail? Hi there. I found your site by way of Google even as searching for a related topic, your website got here up. It appears great. I’ve bookmarked it in my google bookmarks to come back then. Thanks , I have just been looking for info about this topic for ages and yours is the best I’ve found out so far. However, what concerning the bottom line? Are you certain concerning the source? Hiya, I’m really glad I have found this info. Nowadays bloggers publish just about gossip and web stuff and this is really frustrating. A good web site with exciting content, this is what I need. Thanks for making this website, and I will be visiting again. Do you do newsletters by email? Hiya, I’m really glad I have found this info. Today bloggers publish just about gossip and internet stuff and this is really irritating. A good web site with exciting content, that’s what I need. Thanks for making this web site, and I will be visiting again. Do you do newsletters by email? Hello there. I discovered your blog by means of Google at the same time as searching for a similar subject, your website came up. It looks great. I’ve bookmarked it in my google bookmarks to visit then. I intended to post you this little observation to finally say thanks a lot the moment again for those fantastic pointers you’ve provided in this case. It was generous of you giving openly all that some people could have marketed for an electronic book to help make some profit for themselves, primarily since you could have done it in the event you decided. The thoughts as well acted as a great way to realize that many people have a similar keenness the same as mine to understand way more around this issue. I am certain there are a lot more enjoyable situations ahead for individuals that scan through your blog post. Hiya, I’m really glad I have found this info. Today bloggers publish only about gossip and web stuff and this is really frustrating. A good website with exciting content, this is what I need. Thanks for making this web site, and I will be visiting again. Do you do newsletters by email? whoah this weblog is great i really like studying your posts. Keep up the great paintings! You already know, many people are searching round for this info, you can aid them greatly. Whats up very cool blog!! Guy .. Beautiful .. Amazing .. I’ll bookmark your blog and take the feeds also¡KI’m happy to search out a lot of helpful info right here in the publish, we need develop more strategies in this regard, thanks for sharing. . . . . .
Hello there. I found your website by means of Google even as looking for a similar topic, your site got here up. It appears great. I’ve bookmarked it in my google bookmarks to visit then. Hello there. I found your site by means of Google whilst searching for a similar matter, your web site got here up. It appears to be good. I have bookmarked it in my google bookmarks to come back then. Hiya, I’m really glad I have found this information. Today bloggers publish just about gossip and web stuff and this is actually irritating. A good web site with exciting content, that’s what I need. Thank you for making this web-site, and I’ll be visiting again. Do you do newsletters by email? Hello there. I found your blog by means of Google even as searching for a related subject, your site came up. It appears to be good. I have bookmarked it in my google bookmarks to visit then. Hey there. I found your blog by way of Google while searching for a comparable matter, your web site got here up. It seems good. I’ve bookmarked it in my google bookmarks to come back then. Hello there. I found your website by the use of Google while looking for a comparable topic, your website came up. It appears good. I have bookmarked it in my google bookmarks to visit then. whoah this blog is magnificent i really like studying your articles. Stay up the good work! You know, many people are searching around for this info, you can help them greatly. I have been surfing online greater than three hours today, but I by no means found any interesting article like yours. It is lovely price enough for me. In my opinion, if all site owners and bloggers made good content material as you did, the internet might be much more useful than ever before. Hiya, I’m really glad I’ve found this information. Nowadays bloggers publish only about gossips and web and this is really frustrating. A good website with exciting content, this is what I need. Thanks for keeping this site, I’ll be visiting it. Do you do newsletters? Can’t find it. Hiya, I am really glad I have found this information. Today bloggers publish only about gossip and internet stuff and this is actually frustrating. A good website with exciting content, that’s what I need. Thank you for making this web-site, and I’ll be visiting again. Do you do newsletters by email? I¡¦ll right away grasp your rss as I can’t to find your e-mail subscription hyperlink or e-newsletter service. Do you’ve any? Kindly let me understand so that I could subscribe. Thanks. I have to show appreciation to you just for rescuing me from this type of crisis. As a result of scouting throughout the the web and coming across tricks that were not pleasant, I believed my entire life was done. Existing devoid of the answers to the problems you have resolved all through this article is a critical case, as well as those which might have negatively affected my career if I had not noticed your website. Your good know-how and kindness in touching all areas was vital. I don’t know what I would have done if I had not discovered such a step like this. I’m able to at this point look forward to my future. Thank you very much for this impressive and effective guide. I won’t think twice to suggest the sites to anyone who should receive counselling on this matter. Thanks , I’ve recently been searching for info about this topic for ages and yours is the greatest I have came upon so far. But, what in regards to the conclusion? Are you sure in regards to the supply? Hey there. I found your website by means of Google even as looking for a related matter, your website came up. It seems good. I have bookmarked it in my google bookmarks to visit then. Hiya, I am really glad I have found this information. Nowadays bloggers publish only about gossip and net stuff and this is actually irritating. A good web site with exciting content, that’s what I need. Thanks for making this web site, and I will be visiting again. Do you do newsletters by email? Hey there. I found your website by means of Google whilst looking for a related subject, your site came up. It looks good. I’ve bookmarked it in my google bookmarks to visit then. Generally I do not read article on blogs, but I would like to say that this write-up very pressured me to check out and do it! Your writing style has been amazed me. Thanks, very nice post. Hiya, I am really glad I have found this info. Nowadays bloggers publish just about gossip and internet stuff and this is really irritating. A good web site with interesting content, that’s what I need. Thanks for making this web-site, and I’ll be visiting again. Do you do newsletters by email? Hi there. I discovered your website via Google whilst searching for a similar subject, your site came up. It appears to be good. I have bookmarked it in my google bookmarks to visit then. Hi there. I discovered your web site by way of Google while searching for a related subject, your website came up. It looks great. I have bookmarked it in my google bookmarks to come back then. Hiya, I am really glad I have found this information. Today bloggers publish only about gossip and internet stuff and this is actually irritating. A good website with interesting content, this is what I need. Thank you for making this site, and I will be visiting again. Do you do newsletters by email? Hey there. I discovered your site by way of Google whilst looking for a comparable matter, your site came up. It seems to be good. I’ve bookmarked it in my google bookmarks to come back then. Hello there. I discovered your blog via Google whilst looking for a comparable matter, your web site came up. It looks great. I’ve bookmarked it in my google bookmarks to visit then. Hello there. I found your web site by means of Google even as searching for a similar topic, your website got here up. It appears good. I’ve bookmarked it in my google bookmarks to visit then. I want to point out my respect for your kind-heartedness for men who have the need for assistance with that theme. Your special dedication to passing the message throughout has been quite practical and has continuously allowed folks like me to realize their goals. Your new interesting help and advice denotes much to me and further more to my office colleagues. Best wishes; from all of us. naturally like your web site but you have to test the spelling on quite a few of your posts. A number of them are rife with spelling problems and I to find it very troublesome to tell the reality however I¡¦ll surely come again again. Hiya, I’m really glad I’ve found this info. Today bloggers publish just about gossip and internet stuff and this is actually annoying. A good blog with exciting content, that’s what I need. Thanks for making this website, and I will be visiting again. Do you do newsletters by email? Hiya, I am really glad I’ve found this info. Nowadays bloggers publish only about gossip and net stuff and this is really frustrating. A good website with interesting content, this is what I need. Thanks for making this site, and I will be visiting again. Do you do newsletters by email? Hello there. I found your blog via Google whilst looking for a related subject, your website came up. It appears to be good. I’ve bookmarked it in my google bookmarks to come back then. Hello there. I found your site by means of Google whilst searching for a comparable subject, your site got here up. It seems great. I’ve bookmarked it in my google bookmarks to come back then. Hey there. I discovered your blog by the use of Google at the same time as looking for a related topic, your site came up. It seems to be great. I have bookmarked it in my google bookmarks to come back then. Hiya, I’m really glad I have found this information. Nowadays bloggers publish only about gossip and net stuff and this is really irritating. A good blog with interesting content, this is what I need. Thanks for making this site, and I will be visiting again. Do you do newsletters by email? Hello there. I discovered your website by means of Google whilst looking for a related subject, your web site came up. It seems to be good. I have bookmarked it in my google bookmarks to visit then. Hiya, I am really glad I’ve found this information. Today bloggers publish just about gossip and net stuff and this is actually irritating. A good blog with exciting content, this is what I need. Thanks for making this website, and I will be visiting again. Do you do newsletters by email? Hi there. I found your site by way of Google while looking for a related subject, your site got here up. It seems to be great. I’ve bookmarked it in my google bookmarks to come back then. Hey there. I found your website by the use of Google whilst searching for a related subject, your website got here up. It seems good. I’ve bookmarked it in my google bookmarks to come back then. Hiya, I’m really glad I’ve found this info. Nowadays bloggers publish only about gossip and web stuff and this is actually irritating. A good web site with exciting content, this is what I need. Thanks for making this web site, and I’ll be visiting again. Do you do newsletters by email? Hiya, I’m really glad I have found this info. Today bloggers publish just about gossip and internet stuff and this is really frustrating. A good web site with exciting content, that is what I need. Thank you for making this site, and I’ll be visiting again. Do you do newsletters by email? certainly like your web site but you have to check the spelling on several of your posts. Many of them are rife with spelling issues and I find it very troublesome to inform the reality however I will certainly come again again. Needed to compose you this bit of remark to give thanks over again over the awesome methods you’ve featured in this article. It is quite pretty generous with you to deliver unhampered all that a number of people could have marketed for an e-book to get some money on their own, even more so seeing that you might well have done it if you wanted. Those inspiring ideas likewise served to become fantastic way to recognize that someone else have a similar eagerness really like my very own to understand significantly more with regards to this matter. I know there are some more pleasurable periods up front for individuals that read carefully your blog. Hi there. I discovered your site by means of Google at the same time as looking for a related subject, your web site came up. It looks good. I have bookmarked it in my google bookmarks to visit then. Hey there. I discovered your site by way of Google whilst searching for a comparable subject, your website got here up. It looks good. I’ve bookmarked it in my google bookmarks to visit then. Thanks for sharing superb informations. Your web site is very cool. I’m impressed by the details that you¡¦ve on this site. It reveals how nicely you perceive this subject. Bookmarked this website page, will come back for more articles. You, my pal, ROCK! I found simply the information I already searched everywhere and simply could not come across. What a perfect website. Hey there. I found your website via Google whilst searching for a comparable topic, your web site got here up. It seems to be great. I have bookmarked it in my google bookmarks to come back then. Hey there. I found your site via Google even as looking for a similar matter, your site came up. It appears to be good. I’ve bookmarked it in my google bookmarks to visit then. Hiya, I am really glad I have found this information. Today bloggers publish just about gossip and internet stuff and this is actually annoying. A good blog with exciting content, that’s what I need. Thanks for making this web-site, and I will be visiting again. Do you do newsletters by email? Hi there. I discovered your blog by way of Google at the same time as searching for a similar topic, your website got here up. It looks good. I have bookmarked it in my google bookmarks to visit then. Hey there. I found your website by way of Google at the same time as looking for a similar matter, your web site got here up. It looks great. I’ve bookmarked it in my google bookmarks to visit then. Hiya, I am really glad I’ve found this info. Nowadays bloggers publish just about gossip and web stuff and this is really annoying. A good blog with interesting content, this is what I need. Thank you for making this website, and I’ll be visiting again. Do you do newsletters by email? Hi there. I discovered your blog by the use of Google while searching for a similar topic, your site got here up. It seems to be great. I have bookmarked it in my google bookmarks to come back then. Hello there. I found your blog by means of Google while looking for a similar subject, your website got here up. It appears to be great. I have bookmarked it in my google bookmarks to come back then. You can certainly see your skills in the work you write. The world hopes for even more passionate writers such as you who aren’t afraid to say how they believe. At all times go after your heart. Hi there. I found your site by the use of Google whilst looking for a similar matter, your site came up. It seems good. I’ve bookmarked it in my google bookmarks to come back then. Hello there. I found your blog by the use of Google even as searching for a similar topic, your website got here up. It looks good. I’ve bookmarked it in my google bookmarks to visit then. Hiya, I am really glad I have found this information. Today bloggers publish only about gossip and net stuff and this is actually annoying. A good web site with exciting content, that’s what I need. Thanks for making this website, and I will be visiting again. Do you do newsletters by email? Hi there, I discovered your blog by way of Google at the same time as looking for a related subject, your site came up, it appears good. I have bookmarked it in my google bookmarks. Hey there. I found your site by means of Google even as looking for a comparable subject, your website came up. It appears to be good. I’ve bookmarked it in my google bookmarks to visit then. Hi there. I found your website by the use of Google even as looking for a comparable matter, your web site came up. It appears good. I have bookmarked it in my google bookmarks to come back then. I simply want to tell you that I am beginner to blogging and site-building and definitely liked this page. Almost certainly I’m want to bookmark your website . You actually come with fabulous articles. Thanks for sharing with us your website page. Excellent post. I was checking constantly this blog and I’m impressed! Extremely helpful information specifically the last part 🙂 I care for such info much. I was seeking this particular information for a long time. Thank you and good luck. Hiya, I’m really glad I’ve found this information. Nowadays bloggers publish just about gossip and net stuff and this is really annoying. A good website with exciting content, that is what I need. Thank you for making this site, and I’ll be visiting again. Do you do newsletters by email? Hiya, I’m really glad I’ve found this information. Nowadays bloggers publish only about gossip and net stuff and this is actually frustrating. A good website with interesting content, this is what I need. Thanks for making this web site, and I will be visiting again. Do you do newsletters by email? Hiya, I’m really glad I have found this info. Today bloggers publish just about gossip and net stuff and this is really frustrating. A good website with interesting content, this is what I need. Thanks for making this site, and I will be visiting again. Do you do newsletters by email? Hiya, I’m really glad I have found this information. Today bloggers publish only about gossip and net stuff and this is really annoying. A good website with exciting content, that is what I need. Thank you for making this website, and I’ll be visiting again. Do you do newsletters by email? I¡¦m no longer positive where you’re getting your info, however good topic. I must spend some time learning more or figuring out more. Thank you for great information I used to be looking for this information for my mission. Hey there. I found your web site via Google at the same time as looking for a comparable topic, your website got here up. It appears good. I have bookmarked it in my google bookmarks to visit then. Hey there. I found your blog by way of Google at the same time as searching for a comparable subject, your website got here up. It seems to be good. I’ve bookmarked it in my google bookmarks to visit then. Hiya, I am really glad I have found this info. Nowadays bloggers publish only about gossip and net stuff and this is actually frustrating. A good blog with interesting content, this is what I need. Thanks for making this web site, and I will be visiting again. Do you do newsletters by email? Hello there. I found your web site by the use of Google even as looking for a similar subject, your site came up. It seems good. I have bookmarked it in my google bookmarks to come back then. Hey there. I found your website by way of Google at the same time as searching for a similar subject, your site came up. It appears to be great. I have bookmarked it in my google bookmarks to visit then. Hey there. I discovered your site by way of Google even as searching for a comparable matter, your site got here up. It appears great. I have bookmarked it in my google bookmarks to come back then. Hiya, I am really glad I’ve found this info. Nowadays bloggers publish just about gossip and internet stuff and this is really irritating. A good site with exciting content, this is what I need. Thank you for making this web site, and I’ll be visiting again. Do you do newsletters by email? Hiya, I’m really glad I’ve found this info. Today bloggers publish only about gossip and net stuff and this is actually annoying. A good web site with exciting content, that’s what I need. Thanks for making this website, and I’ll be visiting again. Do you do newsletters by email? Hello there. I found your website by means of Google while searching for a comparable topic, your site got here up. It appears good. I’ve bookmarked it in my google bookmarks to visit then. Hi there. I discovered your website by the use of Google even as looking for a similar matter, your web site got here up. It looks good. I have bookmarked it in my google bookmarks to come back then. Hiya, I am really glad I’ve found this info. Today bloggers publish only about gossip and internet stuff and this is actually annoying. A good web site with interesting content, that’s what I need. Thanks for making this site, and I will be visiting again. Do you do newsletters by email? Hi there. I discovered your web site by means of Google while looking for a comparable topic, your site got here up. It appears to be great. I’ve bookmarked it in my google bookmarks to come back then. certainly like your web-site however you have to check the spelling on quite a few of your posts. Several of them are rife with spelling issues and I in finding it very troublesome to tell the reality however I will surely come again again. Thanks for sharing excellent informations. Your site is very cool. I am impressed by the details that you¡¦ve on this site. It reveals how nicely you perceive this subject. Bookmarked this website page, will come back for more articles. You, my pal, ROCK! I found just the information I already searched all over the place and just couldn’t come across. What a great website. Hiya, I’m really glad I’ve found this info. Nowadays bloggers publish just about gossip and net stuff and this is actually frustrating. A good site with interesting content, that’s what I need. Thank you for making this site, and I’ll be visiting again. Do you do newsletters by email? Hey there. I found your site by means of Google even as looking for a similar matter, your web site got here up. It seems to be great. I’ve bookmarked it in my google bookmarks to visit then. Hiya, I am really glad I’ve found this info. Nowadays bloggers publish just about gossip and web stuff and this is really irritating. A good site with interesting content, this is what I need. Thanks for making this website, and I’ll be visiting again. Do you do newsletters by email? I must point out my respect for your generosity for people that must have guidance on this particular field. Your personal commitment to getting the message throughout ended up being pretty practical and have without exception encouraged those like me to attain their goals. Your warm and friendly advice can mean this much to me and additionally to my fellow workers. Best wishes; from everyone of us. Hiya, I am really glad I have found this information. Today bloggers publish only about gossip and internet stuff and this is actually frustrating. A good blog with exciting content, that is what I need. Thank you for making this site, and I’ll be visiting again. Do you do newsletters by email? Hey there. I found your site by the use of Google even as searching for a related matter, your web site got here up. It looks good. I’ve bookmarked it in my google bookmarks to come back then. Hi there. I found your web site by the use of Google at the same time as searching for a related topic, your web site came up. It looks great. I have bookmarked it in my google bookmarks to visit then. Hey there. I found your site by means of Google even as looking for a related topic, your site got here up. It looks good. I’ve bookmarked it in my google bookmarks to come back then. Hey there. I found your blog via Google even as looking for a related topic, your website got here up. It appears to be great. I have bookmarked it in my google bookmarks to visit then. Hello there. I discovered your website by way of Google even as searching for a comparable subject, your site got here up. It seems good. I’ve bookmarked it in my google bookmarks to visit then. Hiya, I am really glad I’ve found this info. Nowadays bloggers publish just about gossip and internet stuff and this is really frustrating. A good blog with exciting content, that’s what I need. Thank you for making this website, and I’ll be visiting again. Do you do newsletters by email? Hey there. I found your site via Google at the same time as looking for a comparable subject, your website came up. It seems good. I’ve bookmarked it in my google bookmarks to come back then. Hiya, I’m really glad I have found this information. Nowadays bloggers publish only about gossip and internet stuff and this is actually irritating. A good site with interesting content, this is what I need. Thanks for making this web site, and I will be visiting again. Do you do newsletters by email? Hiya, I am really glad I’ve found this information. Nowadays bloggers publish just about gossip and internet stuff and this is actually irritating. A good blog with exciting content, this is what I need. Thanks for making this site, and I will be visiting again. Do you do newsletters by email? Hey there. I found your website via Google while looking for a comparable matter, your site came up. It seems great. I have bookmarked it in my google bookmarks to visit then. Hi there. I discovered your web site by the use of Google even as looking for a comparable topic, your web site came up. It appears to be good. I’ve bookmarked it in my google bookmarks to visit then. Hey there. I found your site via Google even as looking for a similar matter, your web site came up. It appears to be great. I’ve bookmarked it in my google bookmarks to come back then. Hi there. I discovered your website by means of Google even as looking for a comparable topic, your website came up. It appears good. I have bookmarked it in my google bookmarks to come back then. Thanks for sharing superb informations. Your web-site is very cool. I’m impressed by the details that you¡¦ve on this site. It reveals how nicely you perceive this subject. Bookmarked this website page, will come back for more articles. You, my friend, ROCK! I found just the information I already searched everywhere and just could not come across. What an ideal web-site. Hey there. I discovered your website via Google whilst searching for a similar subject, your site got here up. It seems to be good. I’ve bookmarked it in my google bookmarks to come back then. Hey there. I discovered your blog via Google even as searching for a comparable subject, your site got here up. It seems great. I have bookmarked it in my google bookmarks to visit then. Hello there. I found your blog by way of Google whilst looking for a related topic, your web site got here up. It seems to be good. I’ve bookmarked it in my google bookmarks to come back then. Hi there. I found your web site by means of Google whilst searching for a related matter, your website came up. It appears great. I’ve bookmarked it in my google bookmarks to visit then. I precisely had to thank you so much once again. I do not know the things I could possibly have done in the absence of the methods shared by you directly on my field. This has been a difficult case in my view, nevertheless considering a new well-written tactic you solved the issue made me to weep over joy. I’m just grateful for the work and trust you really know what a great job that you’re providing educating other individuals thru a blog. I know that you’ve never met all of us. Hiya, I am really glad I have found this info. Nowadays bloggers publish just about gossip and web stuff and this is actually irritating. A good website with exciting content, that is what I need. Thank you for making this site, and I’ll be visiting again. Do you do newsletters by email? Hi there. I found your blog by means of Google whilst searching for a similar matter, your website came up. It looks good. I have bookmarked it in my google bookmarks to visit then. Hello there. I found your site via Google even as looking for a related matter, your web site got here up. It appears to be good. I’ve bookmarked it in my google bookmarks to come back then. Hiya, I am really glad I’ve found this information. Nowadays bloggers publish only about gossip and web stuff and this is really frustrating. A good website with exciting content, that’s what I need. Thanks for making this web-site, and I’ll be visiting again. Do you do newsletters by email? Hi there. I discovered your site by way of Google even as looking for a related subject, your web site came up. It seems to be great. I’ve bookmarked it in my google bookmarks to visit then. Hello there. I found your blog via Google while looking for a comparable subject, your site got here up. It appears to be great. I have bookmarked it in my google bookmarks to come back then. The very crux of your writing whilst sounding reasonable in the beginning, did not really work properly with me personally after some time. Somewhere within the paragraphs you managed to make me a believer but just for a while. I however have a problem with your jumps in assumptions and one might do nicely to help fill in all those gaps. In the event that you actually can accomplish that, I could undoubtedly end up being impressed. Hey there! Someone in my Facebook group shared this website with us so I came to give it a look. I’m definitely loving the information. I’m bookmarking and will be tweeting this to my followers! Superb blog and outstanding design. wonderful submit, very informative. I ponder why the other specialists of this sector do not understand this. You must continue your writing. I am confident, you have a huge readers’ base already! Hello there. I discovered your blog by way of Google at the same time as searching for a similar matter, your website came up. It appears to be good. I’ve bookmarked it in my google bookmarks to visit then. Hiya, I am really glad I’ve found this information. Today bloggers publish just about gossip and internet stuff and this is really irritating. A good site with exciting content, that is what I need. Thank you for making this web site, and I will be visiting again. Do you do newsletters by email? Hello there. I discovered your web site by means of Google even as searching for a similar subject, your website got here up. It appears to be good. I’ve bookmarked it in my google bookmarks to come back then. Hi there. I found your website by way of Google at the same time as looking for a similar topic, your site got here up. It seems to be great. I have bookmarked it in my google bookmarks to visit then. Hiya, I’m really glad I’ve found this info. Nowadays bloggers publish just about gossip and net stuff and this is really irritating. A good website with interesting content, that’s what I need. Thank you for making this web-site, and I will be visiting again. Do you do newsletters by email? Hi there. I discovered your blog by the use of Google even as looking for a related topic, your site came up. It appears to be great. I have bookmarked it in my google bookmarks to come back then. Hi there. I discovered your blog by means of Google even as searching for a similar subject, your site got here up. It appears to be good. I have bookmarked it in my google bookmarks to visit then. Hello there. I found your site by means of Google at the same time as looking for a related subject, your site came up. It appears to be good. I have bookmarked it in my google bookmarks to visit then. Hiya, I am really glad I have found this info. Today bloggers publish only about gossip and web stuff and this is really frustrating. A good blog with interesting content, this is what I need. Thank you for making this website, and I’ll be visiting again. Do you do newsletters by email? Hiya, I’m really glad I’ve found this info. Nowadays bloggers publish just about gossip and internet stuff and this is really annoying. A good website with interesting content, this is what I need. Thank you for making this web site, and I’ll be visiting again. Do you do newsletters by email? Hi to every body, it’s my first go to see of this weblog; this webpage contains remarkable and really good material in support of visitors. Hi there. I found your website via Google at the same time as searching for a similar matter, your site got here up. It appears to be good. I have bookmarked it in my google bookmarks to visit then. Hi there. I found your website by means of Google whilst looking for a comparable subject, your web site came up. It appears great. I have bookmarked it in my google bookmarks to come back then. Hey there. I discovered your web site by the use of Google while looking for a comparable subject, your site got here up. It appears to be good. I have bookmarked it in my google bookmarks to visit then. Hello there. I discovered your website by the use of Google at the same time as looking for a related subject, your site got here up. It appears good. I have bookmarked it in my google bookmarks to come back then. Hello there. I found your site by the use of Google while searching for a comparable matter, your website got here up. It seems great. I’ve bookmarked it in my google bookmarks to visit then. Hiya, I’m really glad I have found this information. Nowadays bloggers publish just about gossip and web stuff and this is actually frustrating. A good web site with interesting content, that is what I need. Thanks for making this site, and I’ll be visiting again. Do you do newsletters by email? Hiya, I’m really glad I have found this information. Today bloggers publish just about gossip and internet stuff and this is actually annoying. A good blog with exciting content, that’s what I need. Thank you for making this web-site, and I will be visiting again. Do you do newsletters by email? Hey there. I discovered your site by way of Google even as looking for a comparable topic, your site got here up. It seems to be great. I have bookmarked it in my google bookmarks to come back then. Hey there. I found your web site by means of Google at the same time as searching for a related topic, your website got here up. It seems good. I’ve bookmarked it in my google bookmarks to visit then. Awesome post. I’m a standard visitor of your website and appreciate you making the effort to steadfastly keep up the superb site.